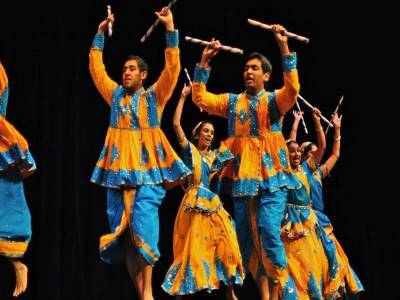 Dandiya or Dandiya Raas is one of the signature dances of India. 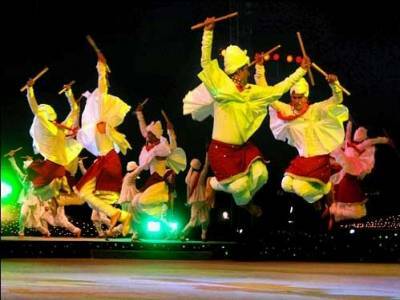 This dance is not just a popular art form but a global representative of Indian culture. Many communities in home and abroad perform the Dandiya or Dandiya Raas during the Color Festival of Holi, on the eve of Raas Purnima, during the Navaratirs & the Dusshera and of course during the Light Festival – Diwali. This multi occasion dance form is actually a derivative of an ancient dance form, the Raaslila Dance. The main story behind this dance form is the story of the charismatic mythological figure, Lord Krishna. It is believed that the very essence of Raaslila dance is to recreate the love affair of the Lord with Lady Radha, during his days in Vrindavan. After establishing his kingdom in Dwaraka, Gujarat, the lord reinstated the culture of Vrindavan there. This is how the Dandiya or Dandiya Raas came into being. 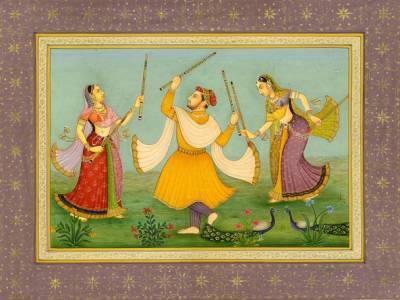 The dance form is quite attractive and the playful nature is the main spirit of this art form. People from every tire of the society, belonging to any age groups and coming from every caste & creed tend to participate in this carnival dance. In a word the Dandiya or Dandiya Raas is secular dance that invokes the clause of humanity and friendship in the society. In Gujarat, the Dandiya or DandiyaRaas is mainly performed during Holi and Navaratris as part of the ritual but apart from these times in Gujarat or in any other corner of the world, the Dandiya or Dandiya Raas is performed to celebrate any and every festive emotions. Both men and women perform this dance together in pairings and move around in circular motions. The women wear ghagra – choli while the men wear kurta – dhoti. Both of then carry sticks in their hand and on converging clash these sticks to bring forth the playful beats of Dandiya. 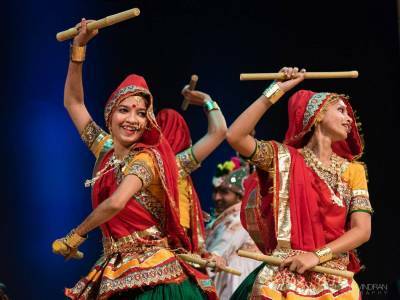 Get quick answers from travelers who visit to Dandiya Folk Dance.